Corporate cultural diplomacy (CCD) is a socially responsible way of gaining corporate influence in foreign markets or cross-cultural environments, so companies that implement CCD activities often detail them within the corporate social responsibility (CSR) section of their website or annual reports. It’s important, however, to understand that while a CCD activity might satisfy CSR, not all CSR activities provide CCD nor the trust, relationships and competitive advantage that it can deliver. CSR approaches might include some of the MAGIC 5 ingredients, but CCD contains all of them. CCD can incorporate other approaches such as sponsorship arrangements, corporate hospitality and donations to worthy causes. It’s correct to call these activities CCD as long as each of the MAGIC 5 ingredients are included. If you want to see what CCD activities large companies are undertaking, you can start by looking at their website and searching for pages titled ‘Corporate Social Responsibility’, ‘Community’ or ‘Giving Back’. 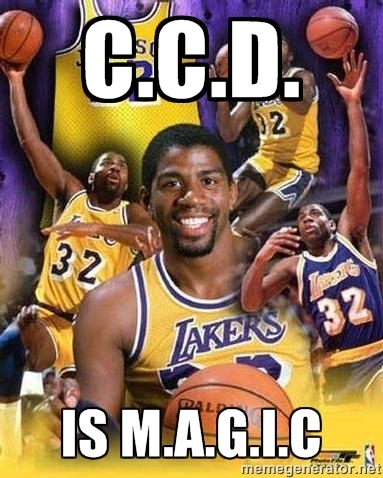 A CCD activity will contain all of the MAGIC 5 ingredients. Companies are sometimes discreet about their CCD activities and choose not to publicise them. There are some good reasons for this, such as the distinct competitive advantage CCD delivers over competitors in foreign markets and an understandable reluctance to expose corporate strategy.